If you are visiting Phi Phi Island and have dreamed of becoming certified than you will be delighted to learn that there are PADI courses available to help you get certified and enjoy the wonderful world of diving. Tonsai Village on Phi Phi Don has a surprising number of excellent schools to take a PADI course at. Phi Phi Island Dive sites and the surrounding islands are spectacular but a large number of the diving sites are only for certified, experienced divers. By taking PADI courses and becoming certified every holiday you take from then on can include wonderful dives. You can enjoy wonderful Phi Phi Island diving during your first trip and every trip thereafter. You can take certification courses and take dives with instructors in order to help you feel comfortable enough to eventually take dives on your own. 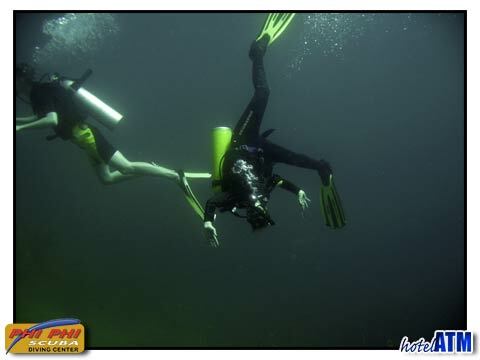 You will quickly see how enjoyable it is to explore the underwater world and see amazing creatures. 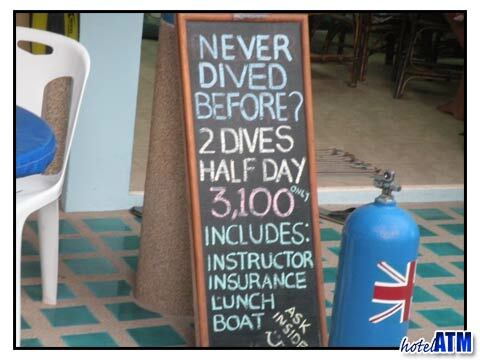 Most of the dive schools are in Tonsai Bay on Phi Phi Don. Most training courses include training in pools and then shallow waters. You will then have some controlled dives with instructors. Before you know it you will be one of the many people around the world that is totally hooked on diving. There are multiple courses you can take ranging from rescue courses, advanced open water courses and PADI open water courses. Whether you are learning to dive for the first time, honing your existing skills or refreshing your dormant diving skills you will want to pick the right course. Phi Phi Island is an amazing holiday destination and Phi Phi diving is among its most popular recreational activities. Novice divers should not be scared to try their hand at diving by starting off with PADI courses and becoming certified to dive. The diving around Phi Phi island is legendary. Phi Phi diving attracts divers from all corners of the globe. Day trips and full diving holidays are yours to enjoy when you explore Phi Phi Island and its diving opportunities. With over 10 dive centres you can find the right center for your needs. Virtually all languages can be accommodated at one or more of the dive centres making Phi Phi Island diving open to almost anyone.